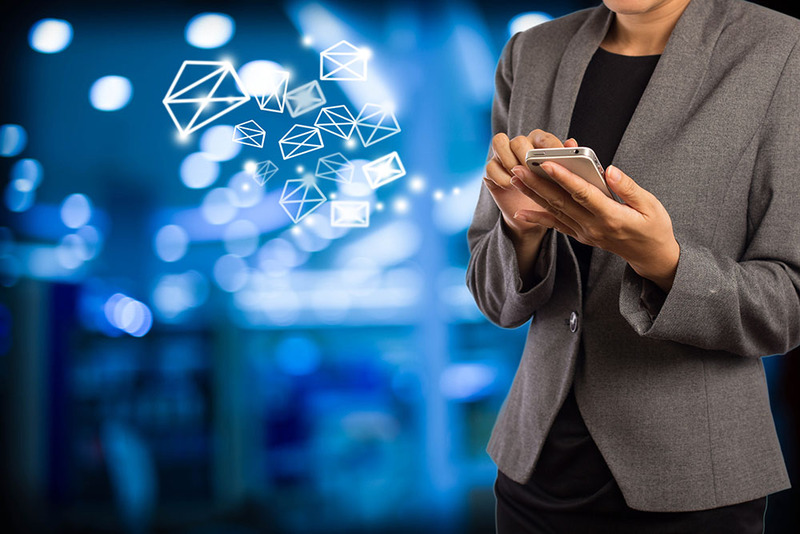 Email, that relatively ancient messaging system that predates the even the World Wide Web, still endures as our go-to means of virtual communication. For personal use, email’s popularity isn’t quite what it once was, having been eclipsed by other messaging systems like SMS, messaging apps, and social platforms. 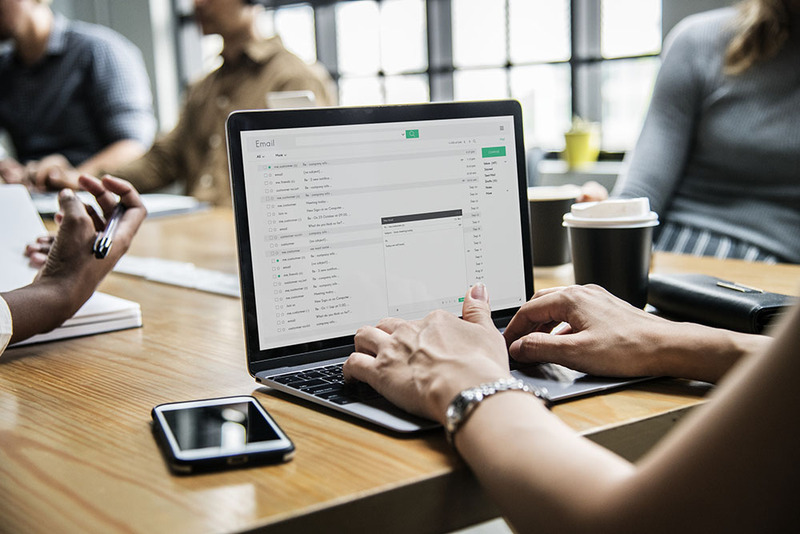 For companies large and small, however, business email remains one of the most important and effective tools at their disposal. In this post, we’ll tell you everything you need to know about the different options you have for doing business email right. Cheap branding – Why promote Gmail when you can promote yourself? Having your company name in your email address is a super-simple way to get your brand in front of people with every email you send. Instant Credibility – clients and customers are more likely to take your business seriously when they see you’ve taken it seriously enough to get a professional email address. Confidence achieved! Minimal effort – getting a branded email is easier (and cheaper) than you think. This 7-minute video even walks you through setting up a free business email through Gmail. 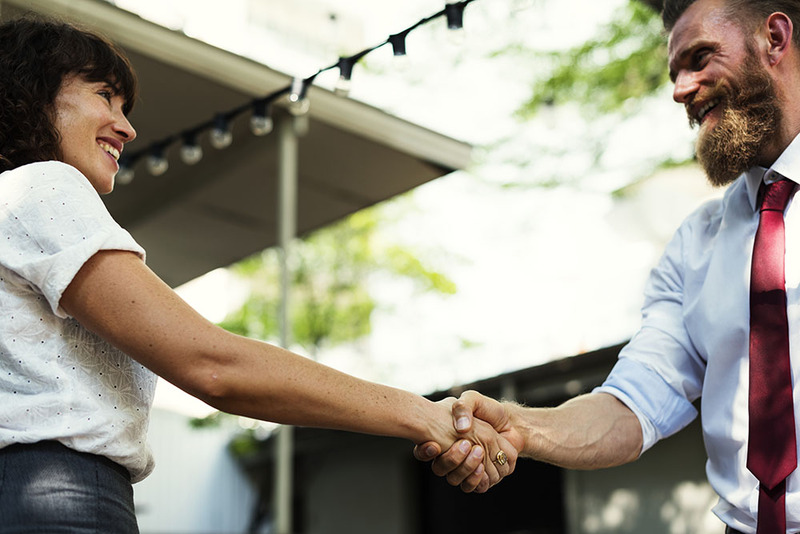 No lonely domains – you’ve gone to the trouble of buying your perfect business domain name, don’t leave it stranded out there without a “team.” A branded email is a perfect partner to connect with your perfect domain. Round out your roster by matching up your social media handles too. Speaking of which, if you’ve purchased a domain name for your business already, congratulations! You’re already halfway to having a business-branded email address. Now, before we start into the need for branded email, let’s not skip over the benefits of having a free email account for your site (yes, there are some). Of course, it’s important for many businesses to have their email address match their domain name (i.e., email@mybusiness.com), and we’ll get to that. But what if you’re just starting out or have a business that doesn’t rely as much on online traffic? Let’s say you’ve got a food truck or other business that relies chiefly on in-person transactions. There’s nothing wrong with creating tacotrucktogo@gmail.com simply so you can communicate with customers and vendors without using the phone. It’s easy, low-maintenance, and it’s free! You can focus on your delicious tacos and check your email when you have time. Or what if your organization is putting together a one-time event (a wedding, for example, or retirement party) and you need a place for guests to send RSVPs? OurBigEvent@gmail.com is easy to create, and, when the event is over, easy to delete. Webmail lets you access your email via a web browser on any device connected to the Internet. Free webmail services (Gmail, Hotmail, Yahoo!, etc.) easy to manage and come with a wide set of features and setting to organize your messaging. And while it’s no longer exactly free, Google’s GSuite offers a terrific package of features in addition to Gmail which you can use even without a website. This is a good option if you don’t have a huge budget or online presence but don’t but want to ignore your web customers. The main drawback to free webmail accounts is that a business email from an address like radbizguy911@hotmail.com looks unprofessional and suspicious. In fact, most scam-conscious customers and clients would delete your message immediately or mark it as spam. So unless you’re certain that everyone receiving your message will know radbizguy911@hotmail.com is really you, consider a different approach. We’ve got you covered with some essential tips for business email etiquette in this post, but definitely start by changing that handle, radbizguy. So, while free email isn’t completely unacceptable, ultimately, you’ll need to look at a more professional strategy. It’s your business’ reputation on the line, after all, and there’s so much out there to help you do better. Let’s take a look at some of the ways you can manage your email and get the most out of your chosen services. Most domain providers include an option to make a business email associated with that domain and have it forwarded to an account you already own (such as your regular Gmail account). This way, you can manage all your email in one place without adding another provider account. For a new business especially, the redirecting option is a great way to get a professional email look right away. Keep in mind, however, that this type of email is linked to your domain provider, so if their servers go down, so does your email and you could lose access to your mail in the meantime. Worth mentioning here is the option of using an email client if you have more than a couple accounts. An email client, unlike browser-based webmail, is a separate program used to access and manage email. While webmail used to be the preferred method of handling email because of its universality (you have access anywhere you can open a web browser), desktop and mobile email clients often have advantages with regards to speed and productivity. This article talks more about the advantages of email clients vs. webmail. Many domain registrars and web hosting providers also offer email hosting for a small fee or even included in the price of registration. Unlike email forwarding where messages are “pushed” from one platform to another (i.e., email@yourname.com to a Gmail account), managed email keeps them on the same server they were sent to. Usually fairly easy to set up, managed email hosting lets you keep your email and domain services all in one place as well as take advantage of that provider’s customer support. The downside with this option is that some managed email services may not be as feature-rich as you need (things like calendar integration, signature support, or mailboxes), or may charge you for more storage. Be sure to shop around before you buy in this case, especially if you plan on building out your email marketing strategy (and if you are, make sure you read our helpful post on making the most of your email marketing). Namecheap’s Private Email plans are a secure, reliable solution for all your email needs. Each one comes with a fast, lightweight webmail interface for managing your email, contacts, and calendar. If your business needs more than just email, you’ll want to look at investing in a package. Office suites such as GSuite from Google and Microsoft’s Office 365 are popular examples of platforms used to help businesses of all sizes. Besides their enterprise-grade email functionality, they also offer additional business tools such as calendars, shared documents, social/chat tools, video conferencing, and online storage. You can purchase them as a complete package or add features separately as needed. Office suites also let you create unlimited email addresses, allow for syncing across various devices, and offer increased security and storage settings for your company’s data. While you could always purchase an office suite just for the email features (both Gmail for Business and Microsoft Outlook are certainly robust tools on their own), with so many added features at your disposal, it seems foolish not to use at least a few of them. Not the least expensive choice here, office suites nevertheless do offer the most “bang for your buck” in business communication. So, if you never thought you’d be able to wrap your head around making professional email work for you, hopefully, this article has cleared a path for you to begin. Namecheap offers a range of resources to help you take advantage of the benefits of professional email, in addition to our feature-rich and reliable email products. Basil is a senior content writer for Namecheap, Inc. Based in Seattle, he works as a freelance copywriter, actor, teacher, performance and presentation coach, and musician. Against the advice of his friends, children, and personal physician, he’s recently become obsessed with skateboarding and personal electronic transportation gadgets. More articles written by Basil . Vlogs, Pods & Blogs – Which Will Reach Your Audience?